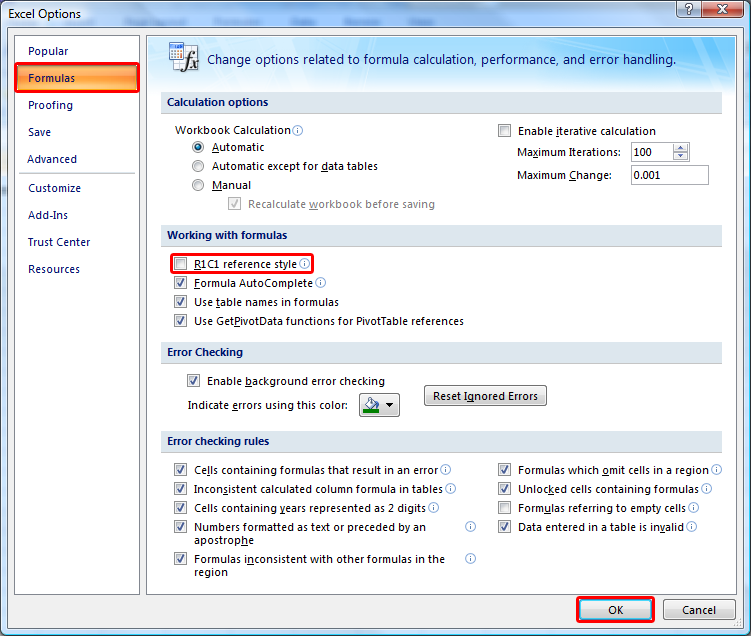 Microsoft Excel can be configured to display column labels as numbers instead of letters. 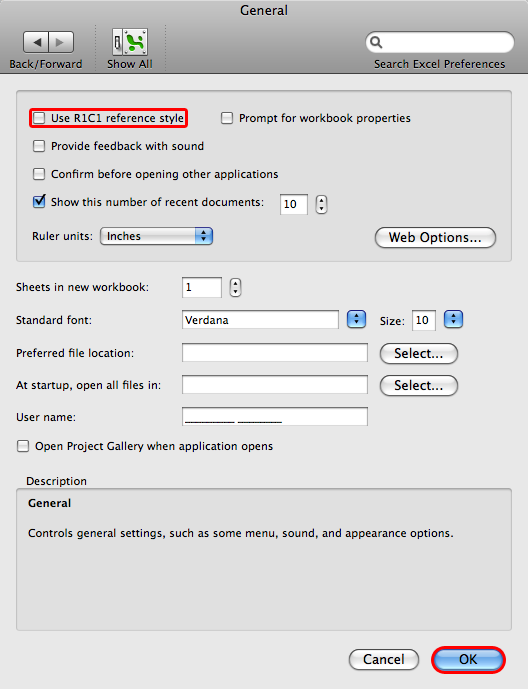 This feature is called "R1C1 Reference Style", and though it can be useful, it can also be confusing if inadvertently enabled. 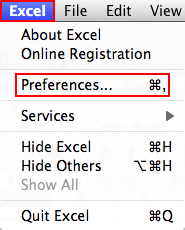 Click on the Excel menu at the top of the screen and select Preferences. Click on the File tab at the top of the screen and select Options. 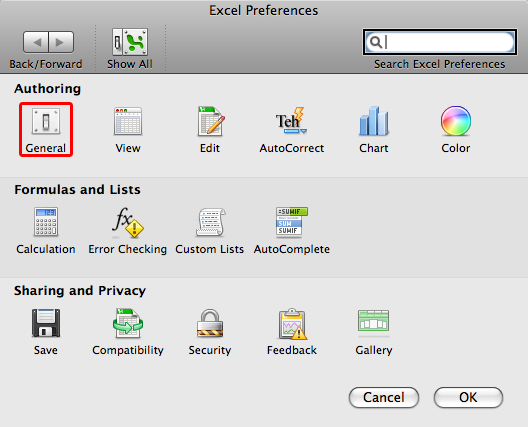 Click on the Office button in the top left hand corner. 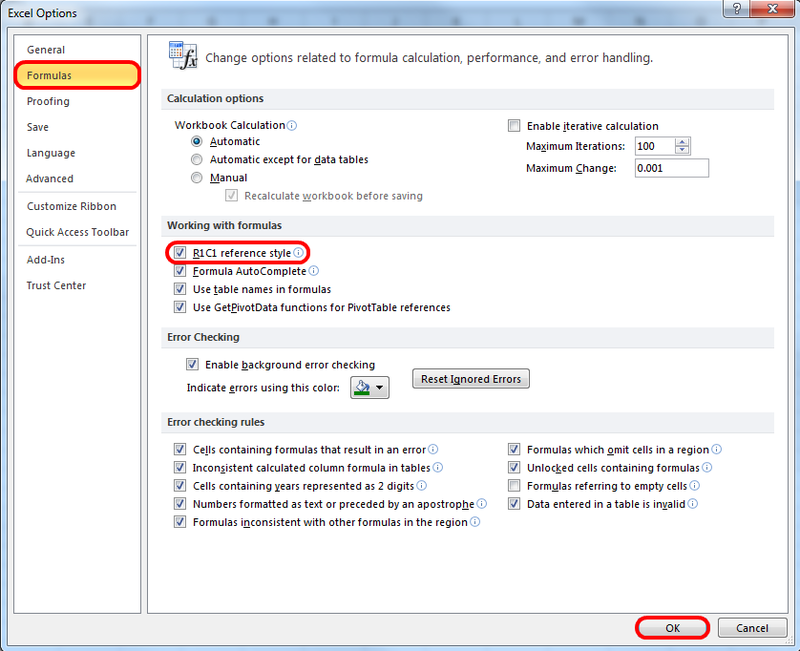 Select the Formulas tab on the left.